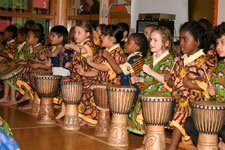 We are grateful that The Royal Docks Trust has once again awarded IROKO the sum of £10,000 towards its Cultural Jamboree Project 2009 - 2010. 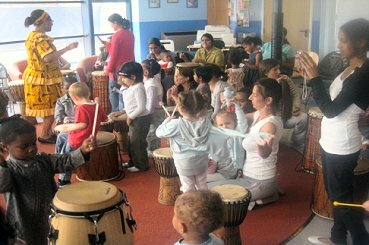 The project will enable families, children and young people (including those with special needs) living in the Trust's catchment area South of the A13, to experience high quality combined art activities in a fun and stimulating environment. 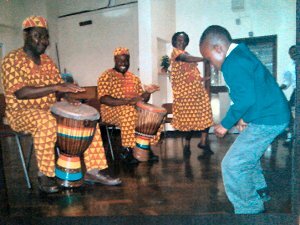 Our aim is to use the arts to build a more active and inclusive community through participation in leisure activities that could help narrow the health gap and at the same time foster positive inter-cultural understanding and community cohesion.